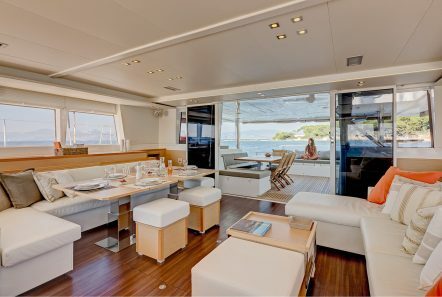 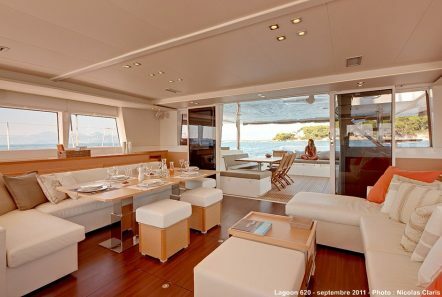 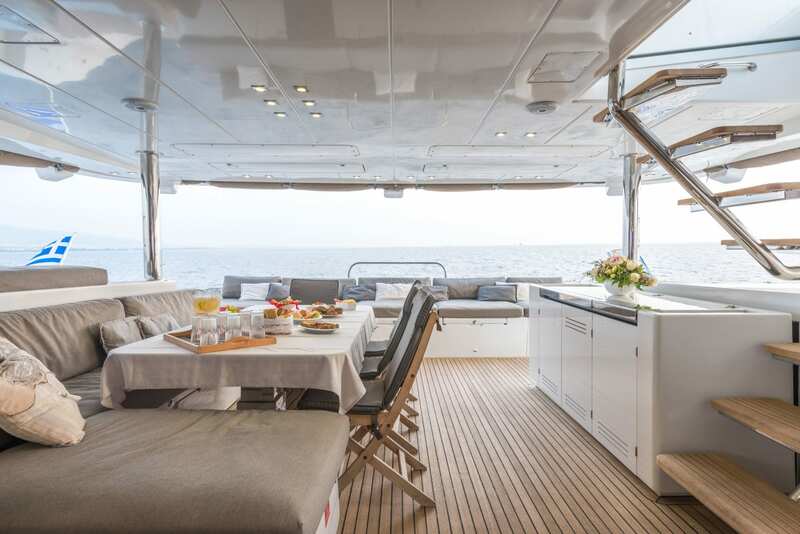 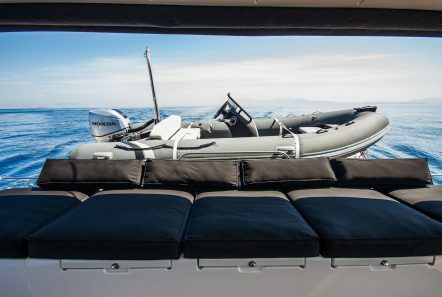 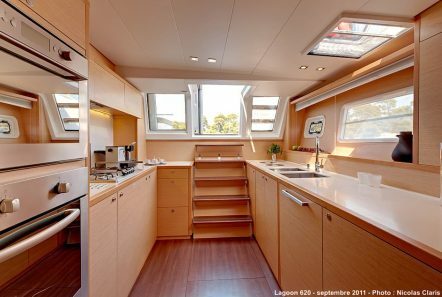 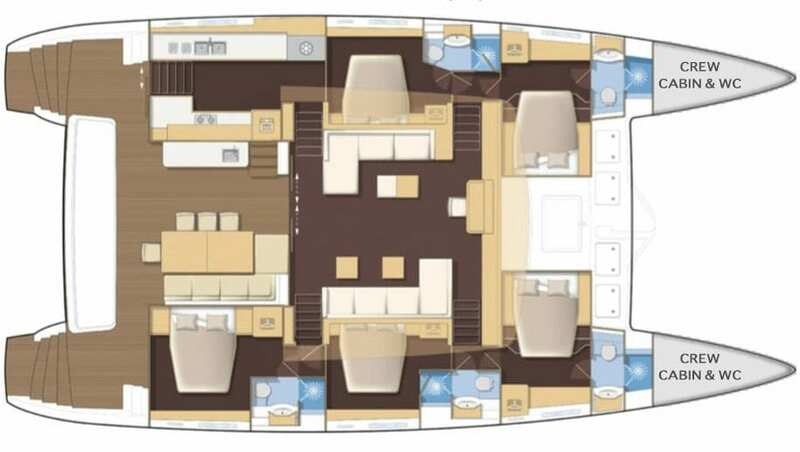 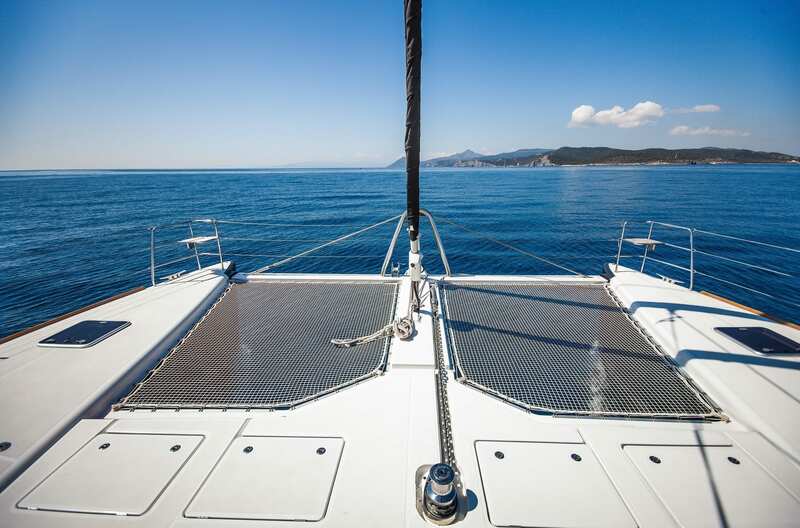 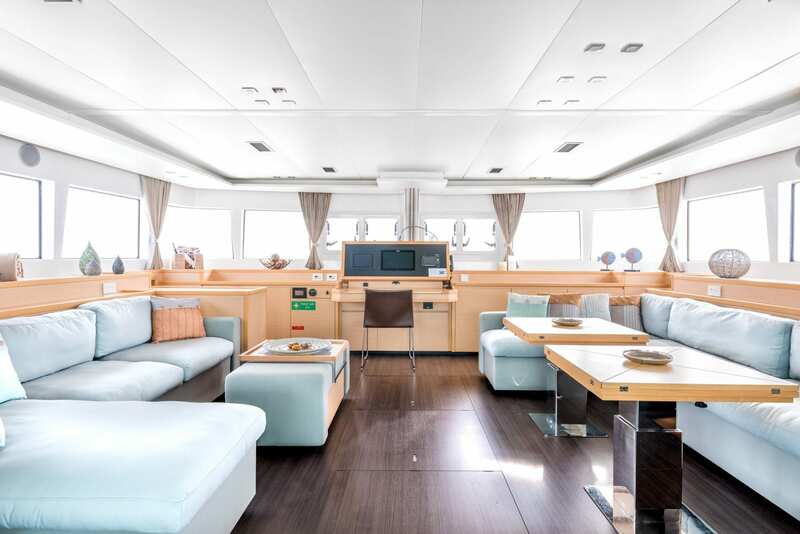 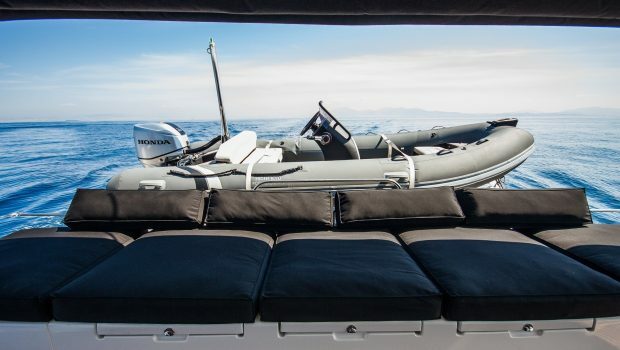 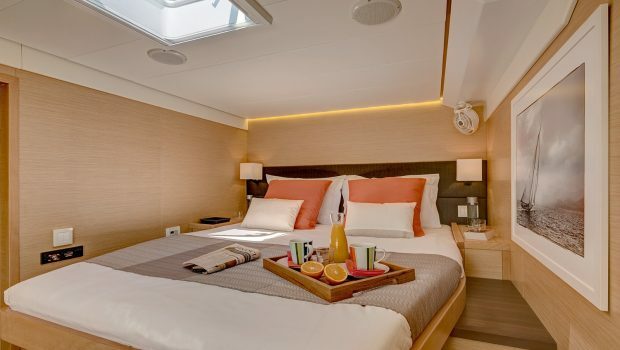 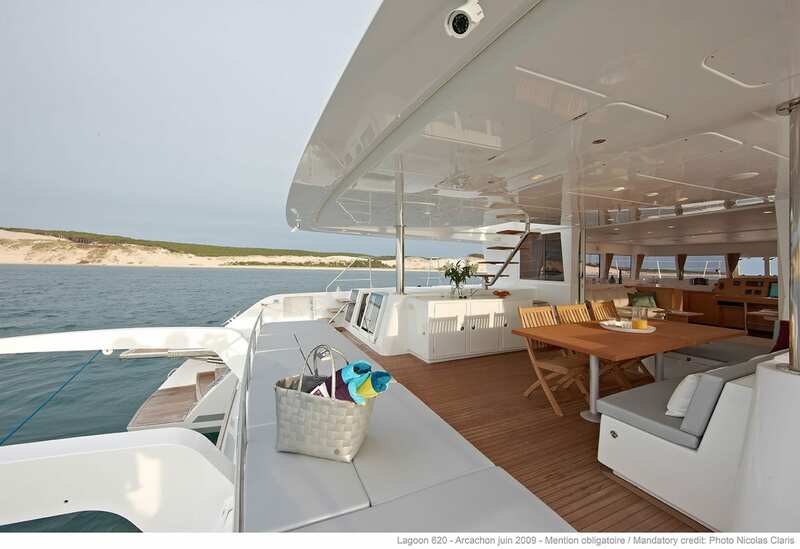 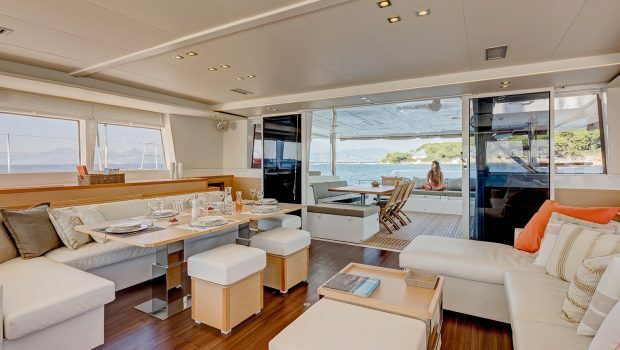 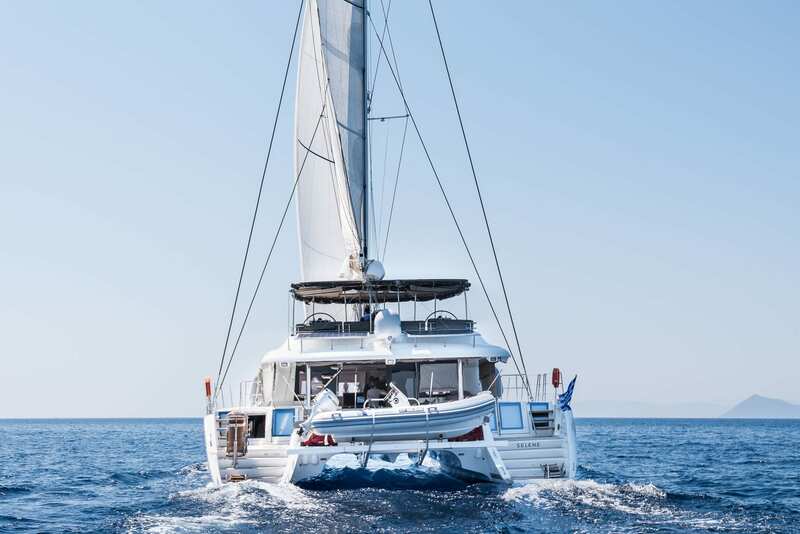 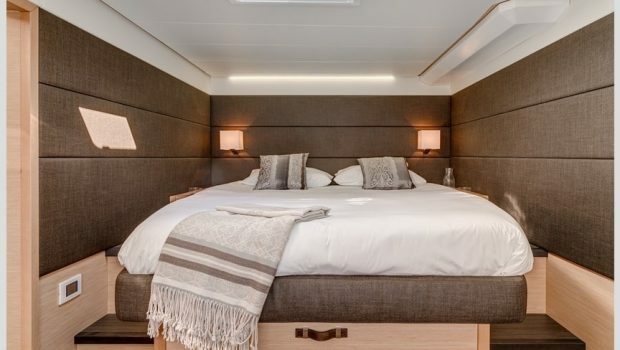 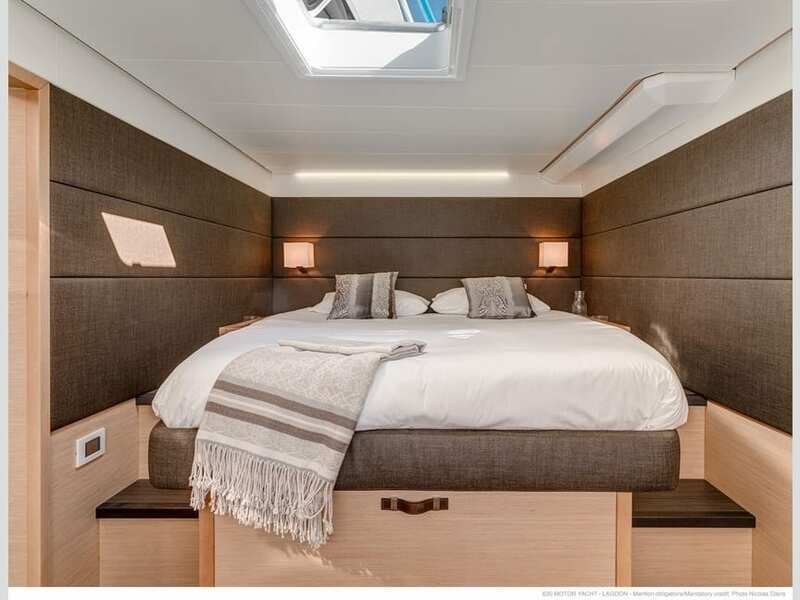 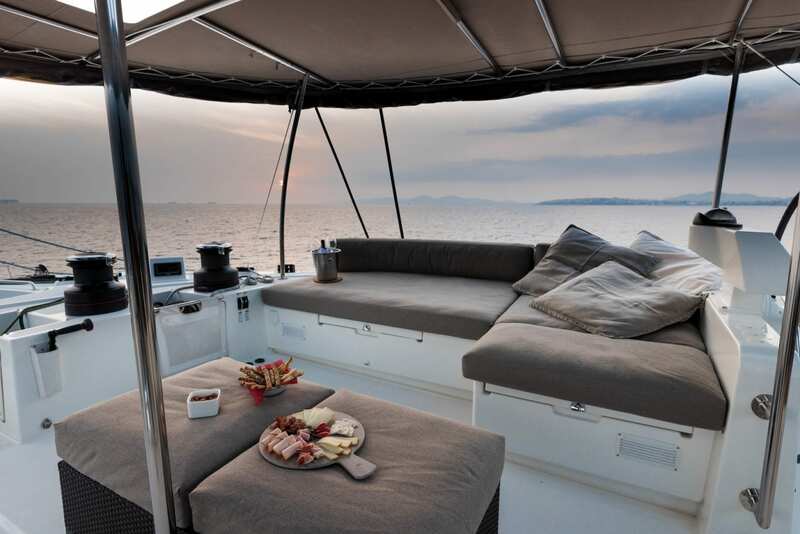 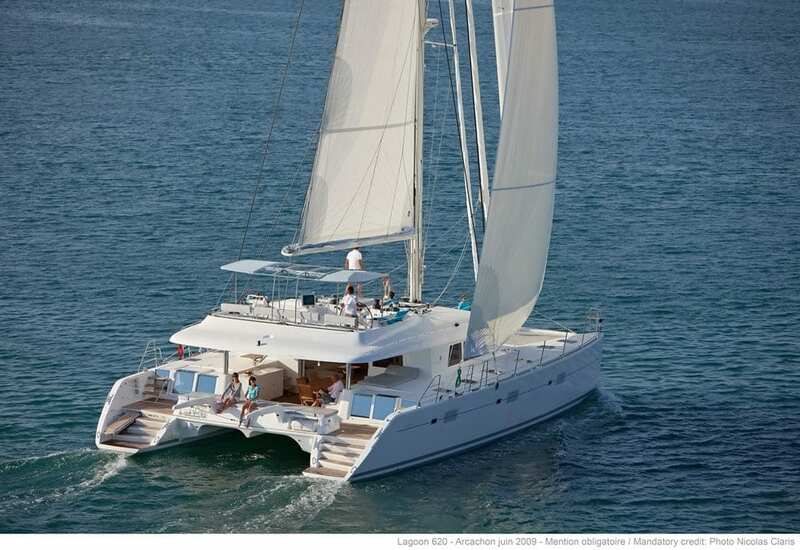 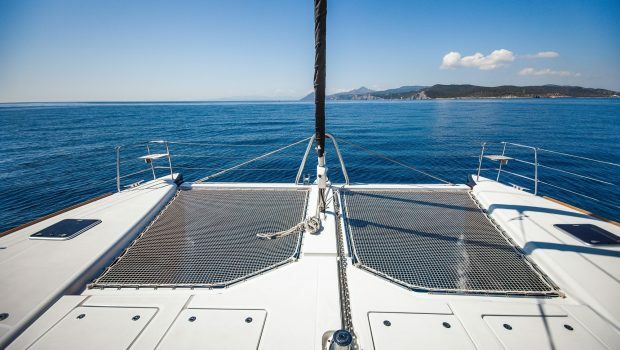 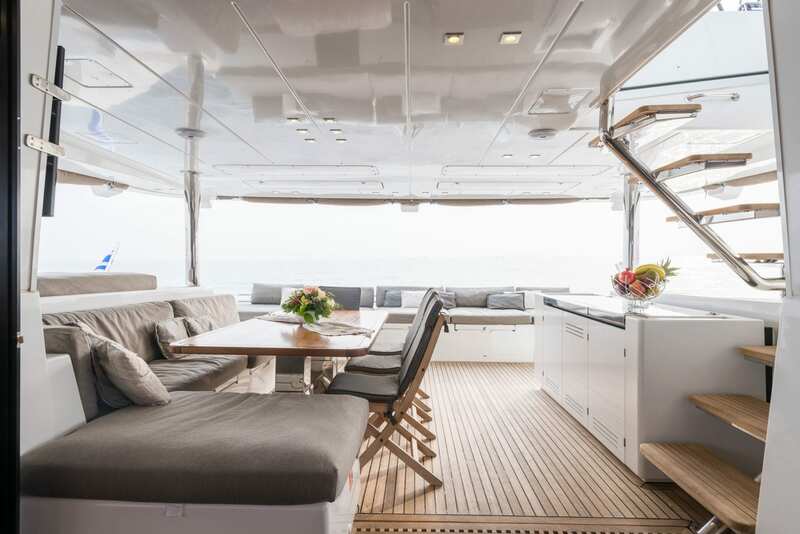 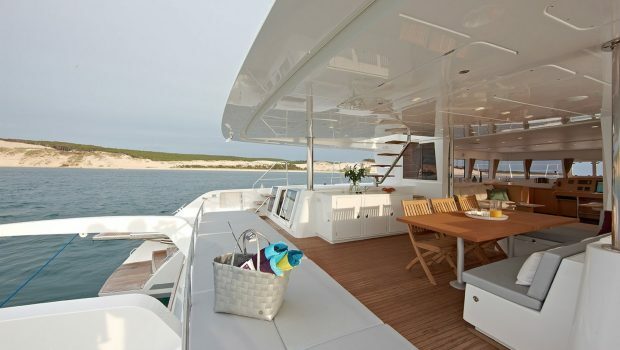 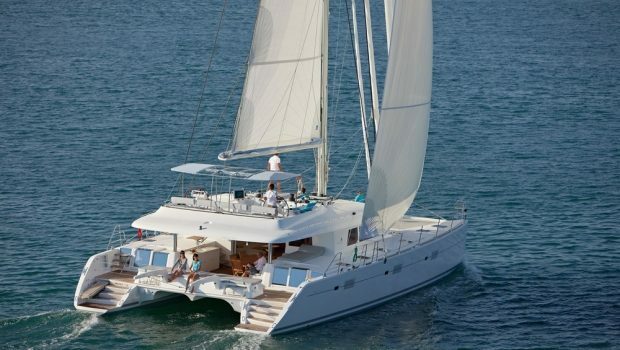 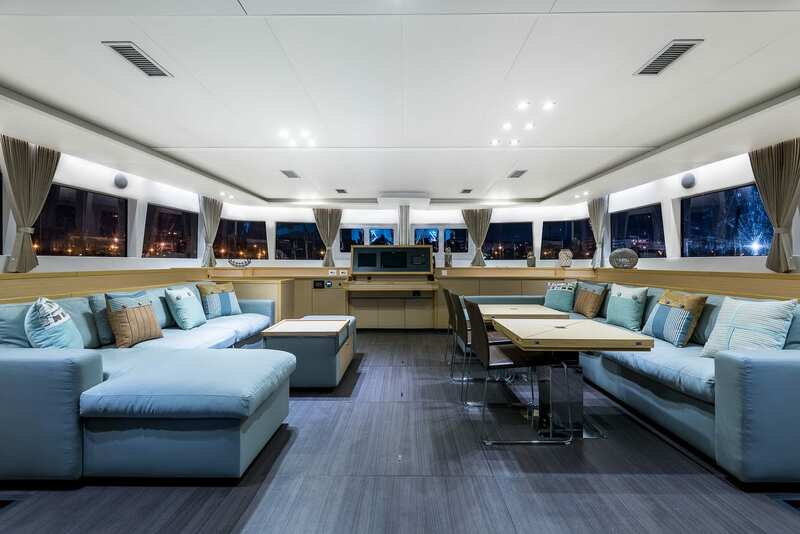 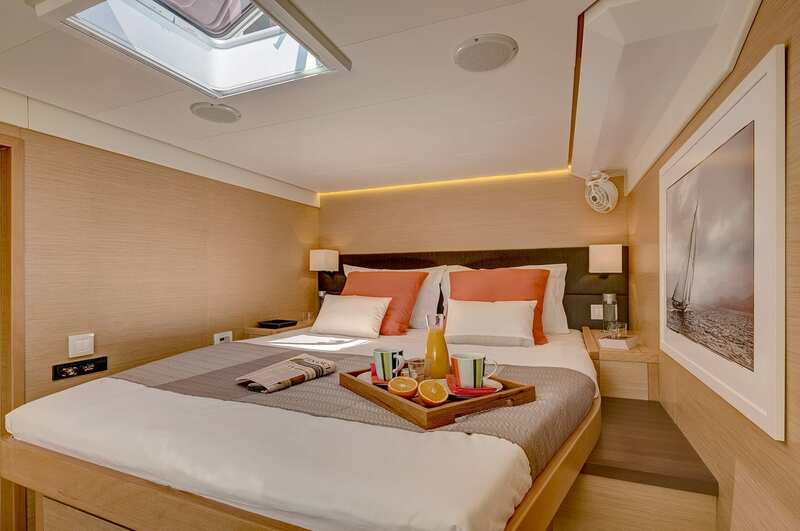 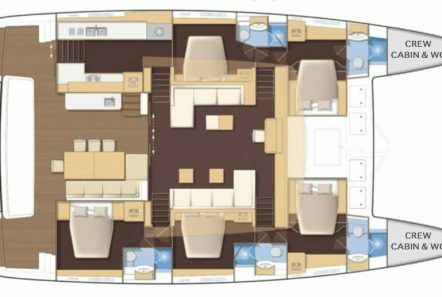 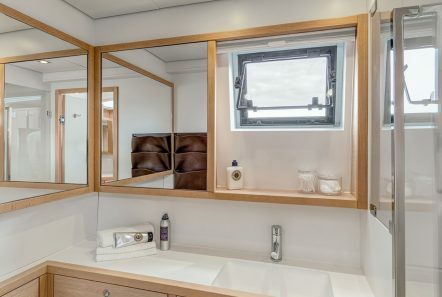 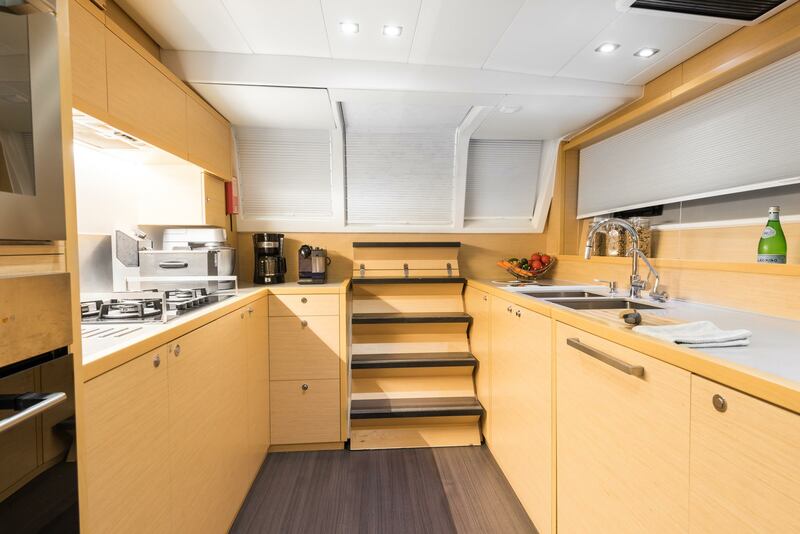 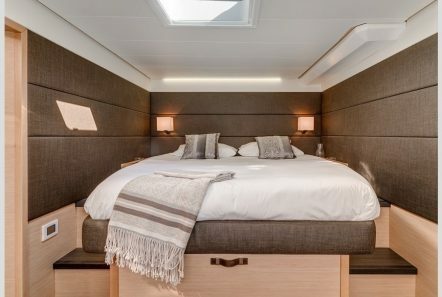 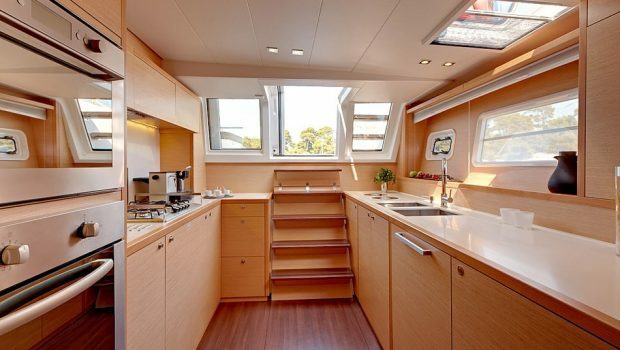 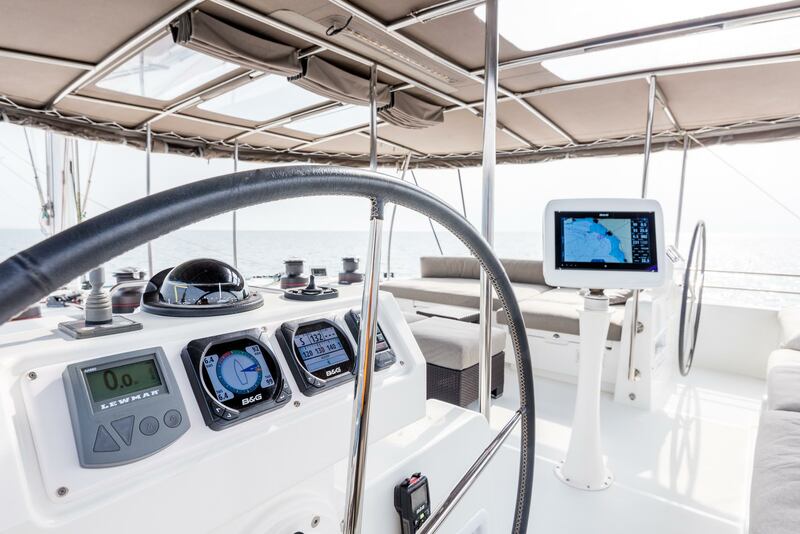 This exquisite catamaran takes ten persons in five double cabins. Packed with sea toys and amenities, all you need is on board for the ultimate vacation sailing around the islands. 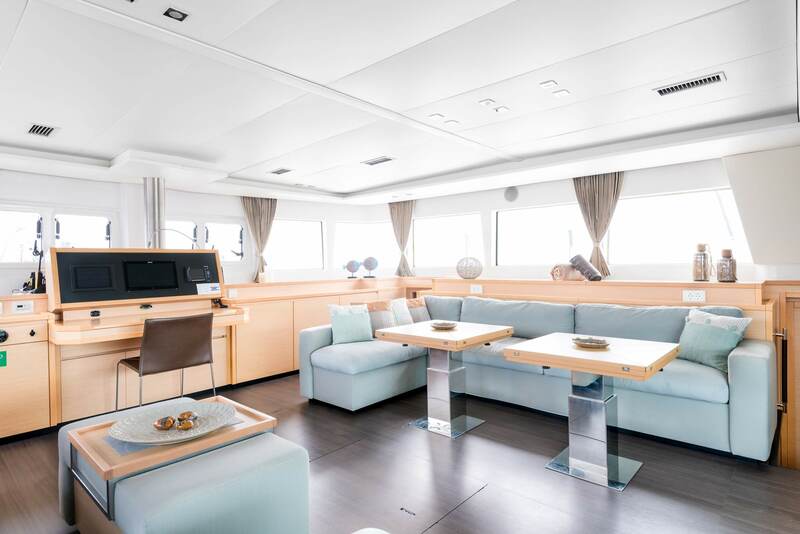 Her elegant neutral colors reflect nature. 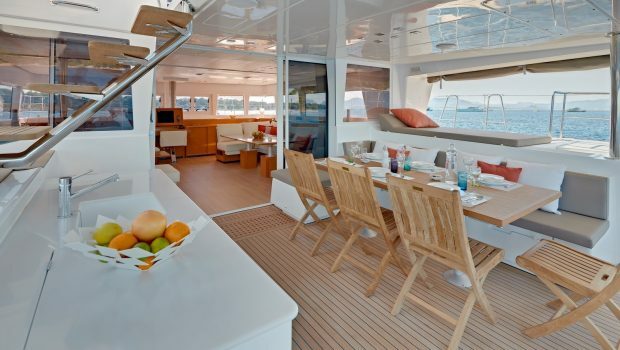 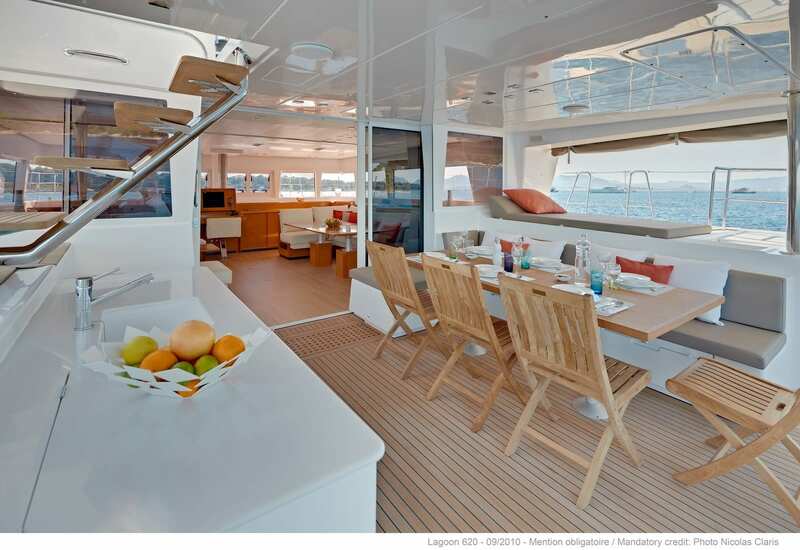 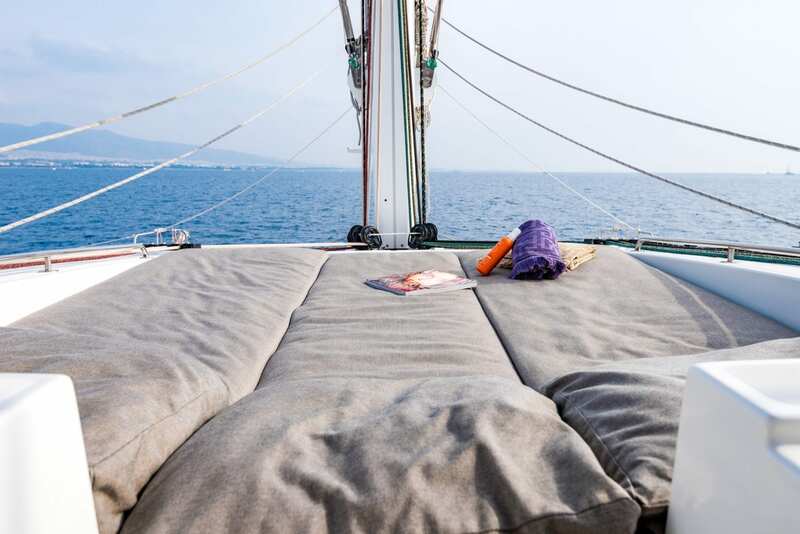 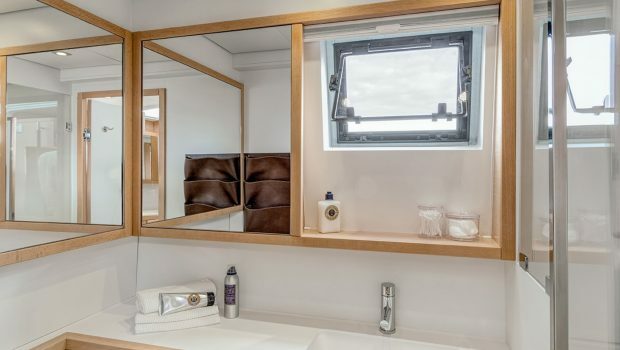 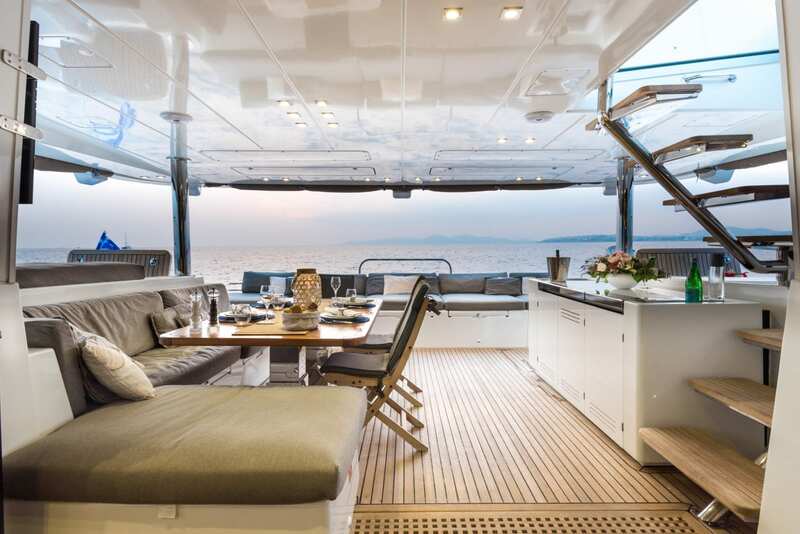 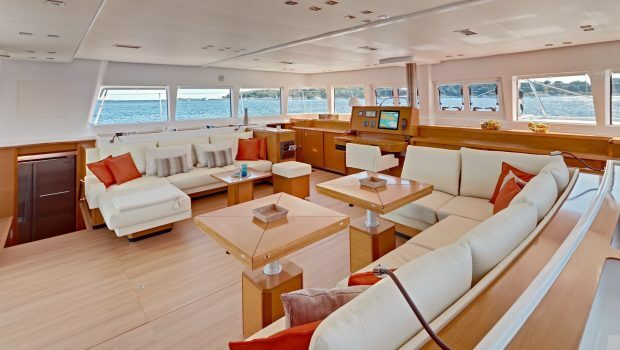 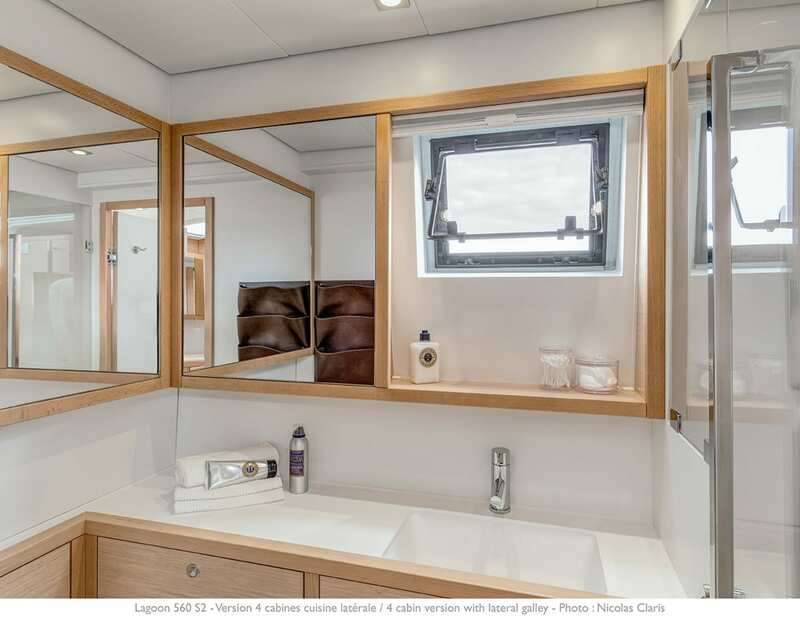 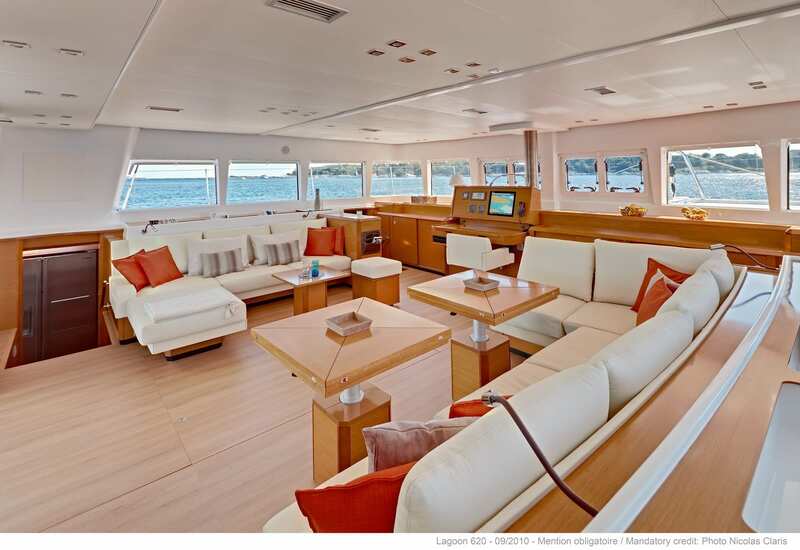 There is a lovely lounge area in the aft deck for hanging out while cruising or at anchor. 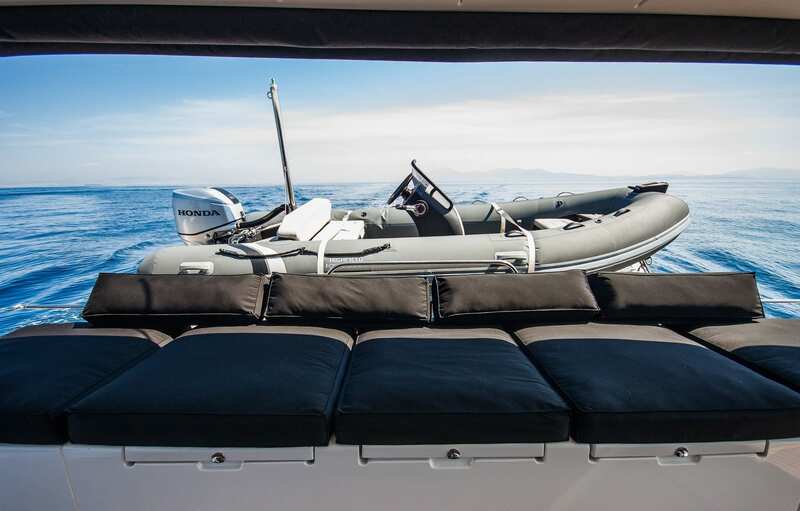 Enjoy full service with a crew of three.